WOMAN FAKED CANCER TO GET R720K! A 27-year-old woman was arrested for faking a cancer diagnosis to receive well over R720 000. 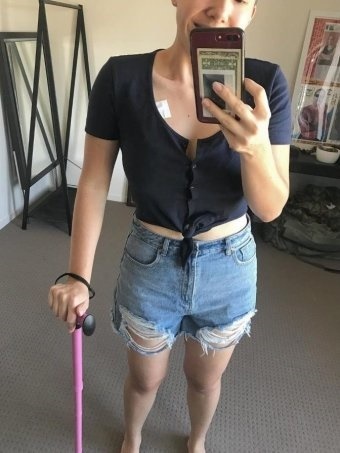 The Australian woman used a blog and photographs online to show an allegedly fictional journey through stage of five ovarian cancer treatment. According to ABC NEWS, police are alleging Wieland told the community about the huge financial strain the illness had created and established a donation page that raised almost R720000. The court was told her partner who is a member of the Australian Defence Force, had become her full-time carer, but police would not speculate on whether he was aware of the alleged fraud. Wieland had also talked of plans to travel to Germany to receive further treatment. She was ordered to surrender her passport to police. She is due to appear in court again in December. "Some people in the community identified some problems with the story and we conducted investigations to establish the veracity of the claims made by this woman," The police said. "It's disheartening, I mean the real victims here are the people from the community that have heard the stories, have tried to assist as best they can and in some cases what little they have and given the money across in the honest belief they are trying to help people," he said. Inspector Lawson said the allegations against Wieland should stand as a warning for those wanting to donate online.